Producing work of impeccable quality is a significant aspect of Japanese craftsmanship. In the Japanese culture, the master artisans are referred to as ‘Takumi,’ who are known to have honed and perfected their skills over years, or perhaps a lifetime, of training. Exemplars of finesse, Takumi are an embodiment of true innovation through perfection, diligence, and most importantly, discipline. Drawing inspiration from this ethos of Japanese artistry, Net One Systems [TYO:7518]—an end-to-end network solutions provider—seeks to deliver excellence: “We want to become the ‘Takumi of the networking world,’” states Totti Murakami, director of product marketing at Net One Systems. As an embodiment of this vision, the company has even designed its corporate logo inspired by a kanji (Japanese logographic character), which means—Takumi. When Net One Systems was founded in 1988, it was primarily recognized as specialists in the arena of selling routers, switches, and other networking hardware. From the very beginning, Net One Systems was committed to creating a difference in the networking landscape. “We wanted to leverage our ICT expertise and connect people in the business and the society better,” says Murakami. Driven by that mission, today—with three decades of extensive experience—this Tokyo-headquartered network company has earned the spot of one of the most admired companies in the Japanese networking landscape. Its solutions portfolio has also expanded to support every aspect of the ICT platform: the company offers a comprehensive suite of solutions for network management, cybersecurity, cloud computing, and IoT. “We have emerged as a unique network integration expert that combines its own technologies with cutting-edge solutions from multiple vendors to provide enterprises a comprehensive networking solution—extending from verification to introduction and management of the network infrastructure,” expounds Murakami. Organizations of all sizes that seek an efficient network makeover today ride on Net One Systems’ coattails to bring more competence and agility to their ICT architecture. Murakami explains, “We have come far ahead of the time when networking functions were limited to a particular hub or a company’s headquarters building.” With the changing market scenario and technological advancement, network architecture has significantly developed. “The potency of a business today is largely dependent on scalable cloud-based technologies,” remarks Murakami. Thus, in tune with the evolving realm of networks, Net One Systems aesthetically crafts an ideal cloud-based network system for today’s enterprises to facilitate seamless and secure communication with high quality, reliable networking system. “We are known for ground-breaking telecommunication networks, like IP/MPLS networks, SDN/NFV for telecom operators, carrier Ethernet, and mobile network infrastructure,” points out Takahisa Kawaguchi, Executive Director, SVP of Corporate Planning & Strategy & President & CEO of Net One Systems Singapore. Along with that, the firm also offers information platform solutions and services, ICT, and virtual desktop infrastructure solutions. 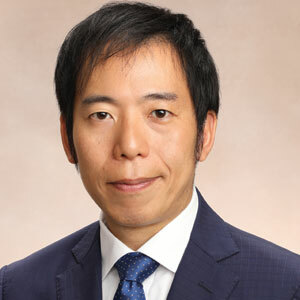 When it comes to modernizing the networking domain, Murakami notes that the industry is quite dynamic, ever-evolving, and “always standing at the crest of an inflection point.” Today’s leading-edge network solutions aspire to deliver the best of both worlds—agility of the public cloud infrastructure and security like that of a private cloud. Riding on this bandwagon, software-defined hyper-converged infrastructure (SD-HCI)—evolved out of the preceding converged infrastructure (CI)—has emerged as a new and more dominant hardware platform for hosting private clouds, virtual desktops, and application development environments. Net One Systems offers an original SD-HCI architecture that optimally utilizes products and solutions from multiple vendors and provides services tailored to the business conditions of Japan, incorporating the latest trends. “Our mission is to propose ways of utilizing the cloud that not only meets a client’s present networking needs but also has the caliber to achieve what the client is not yet aware of,” says Murakami. Net One Systems implements SD-HCI flexibly and quickly as an “integrated service” through each phase of its customer’s ICT system introduction life cycle: Plan, Build, Operate, and Optimize. “By doing so, we create a strong, long-term relationship with our clients,” says Fumihiko Shinoura, CMO and SVP/GM of business development operations at Net One Systems. What makes Net One Systems even stronger is its influential liaison with major vendors in the networking and cloud landscape. In fact, Net One Systems has been awarded as one of the top global partners by Cisco, VMware, and others on multiple occasions, including the Cisco Global Award “Architectural Excellence Partner of the Year: Data Center” and VMware Global Award “Global Solution Provider of the year” in 2016. “What I enjoy the most at Net One Systems is, being able to craft a bigger picture for firms through our solutions,” says Murakami. Elucidating further, he shares a story of a large Japan-based hospital. The healthcare institution wanted to virtualize its IT infrastructure and revamp its in-hospital network, so that it can support advanced medical systems like electronic medical records. The hospital, however, did not want to do away with its legacy system completely. Net One Systems conducted an analysis and assessment of the hospital’s current infrastructure. Using the insights gained, the entire in-hospital system was virtualized and integrated into their existing infrastructure. As a result, even when one hospital server experiences downtime, the medical systems can automatically switch to another server, without disrupting patient care. These intuitive and client-friendly approaches have helped Net One Systems earn an enviable customer retention rate and many significant milestones. Kawaguchi greatly credits their solid footing in the networking community and strong pledge for Takumi-like precision as the secret of this success. Looking ahead, Net One Systems intends to transform the networking experience of more companies in the APAC region. “As the first step toward achieving this, we have already set up a new office in Singapore,” says Kawaguchi. “We aim to become the go-to solution provider for any network query in the APAC (and global) business landscape,” he concludes.